Boston Police report arresting Marybeth Bilodeau, 39, of 168 West Springfield St., near Tremont, after finding "a loaded .40 caliber Ruger SR40C handgun, 50 bags of crack cocaine weighing 44 grams and 11 bags of marijuana weighing approximately one pound," in her residence there. Read more. 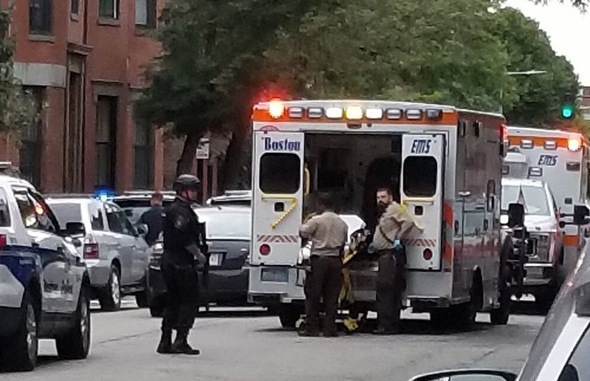 Shortly before 2 p.m. on West Springfield Street between Shawmut Avenue and Washington Street. Read more.